Custom display cabinets delivered fully assembled, Australia-wide. Ask us about cabinets, counters and kiosks for your brand. Looking for Lego display ideas? Check out this Star Wars fan’s amazing custom-built coffee table with an in-built display case for his Lego Millennium Falcon! Showfront is a proud sponsor of New York Postcards, the latest exhibition from internationally acclaimed Melbourne artist, Marco Luccio. Showfront is proud to be exhibiting as an official supplier to the Bapcor Convention and Trade Expo in Singapore, from April 15-20. Huge congratulations to Steven Yap from Springvale, our worthy winner of the Showfront Collectibles Display Cabinet draw at Oz Comic Con Melbourne last week. Choose from Showfront’s stunning range of retail display cabinets, shop fittings, shop counters, slatwall display panels and retail kiosks. 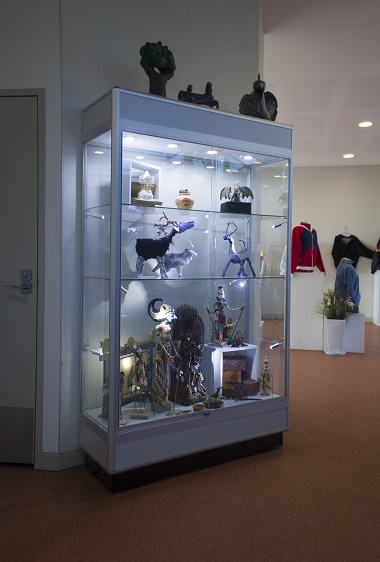 Australia’s premier glass display case manufacturer, Showfront offers fully assembled, premium quality, Australian-made display cabinets for both sale and exhibition hire - all for unbeatable value for money. Buy or hire online now! Showfront’s vast range of glass display cabinets includes a variety of innovative shapes and sizes that can be customised to suit your retail store including upright, tower, mushroom, wall mounted and pedestal & cube display cabinets. We also offer a fantastic range of superbly-crafted glass display counters and shop counters. Custom-built or ready-made to buy online now, Showfront’s glass showcases come with a Best Value Guarantee – if you can find an Australian-made cabinet with like for like for like specifications, we’ll beat the price by 10%! 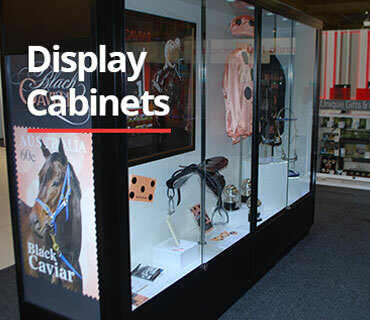 Showfront also offers scalable solutions from a single glass cabinet for local shops to hundreds of commercial display cabinets for brands operating on a national scale. Showfront display cases are delivered to Sydney, Melbourne, Brisbane, Adelaide, Perth, Canberra, Darwin, Hobart, Gold Coast, Newcastle, Geelong, Ballarat, Bendigo, Wollongong and all major urban and regional centres Australia-wide. Showfront’s vast range of shop fittings and display systems include slatwall panels to enhance your retail display, retail kiosks, and gondola shelving. 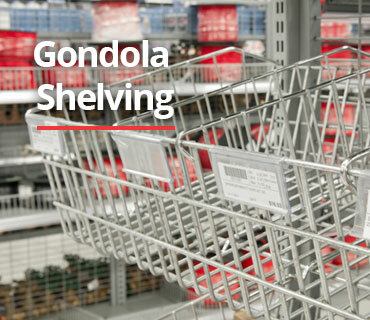 Showfront's adjustable metal shelving solutions include single-sided gondolas and double-sided gondolas featuring slat panel, hole back, plain back, mesh back and no back options. Our retail display racking solutions are suitable for supermarket chains, convenience stores and smaller independent retailers alike. 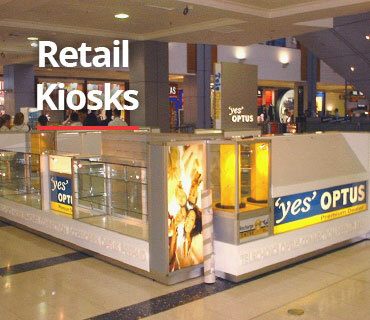 Showfront delivers shop fittings Australia-wide and has showrooms in Sydney, Melbourne and Brisbane.